Where: The offices of government agencies, nonprofits, universities, and other organizations. 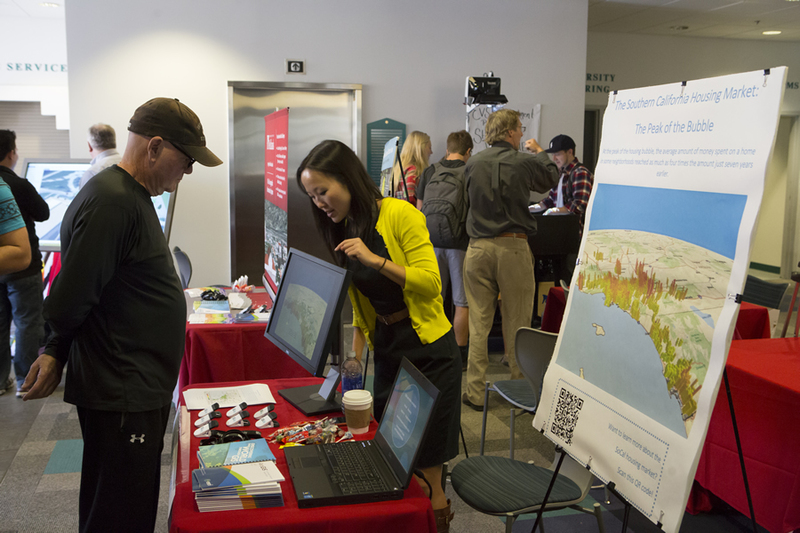 GIS analyses of issues such as the housing market bubble were showcased at a GIS Day event at the University of Redlands in California. 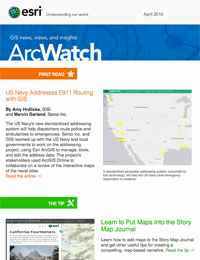 On one special day each year, GIS professionals get the opportunity to proudly lift the curtain on what technology such as Esri ArcGIS can do. Hundreds of organizations in North and South America, Europe, Asia, and Australia hosted GIS Day last November, gatherings that served to ignite the imagination of future geospatial innovators who will move the planet forward using GIS. To steer the geospatially curious onto a promising career path, Esri director for education David DiBiase hosted a GIS Day open house at Esri’s Redlands, California, headquarters. Esri staff demonstrated the ArcGIS platform. Local Esri software users gave presentations about how they use GIS. And job seekers visited a mentor center booth, where they received career advice. Students at the University of Pittsburgh Bradford, celebrated GIS Day by demonstrating various applications of GIS. The use of GIS in everyday processes, such as infrastructure maintenance and road management, were illustrated in posters to show how geospatial technology is involved in people’s lives in ways they sometimes take for granted. The role of GIS in supporting unmanned aerial vehicle (UAV) technology was discussed during GIS Day at the University of Idaho. 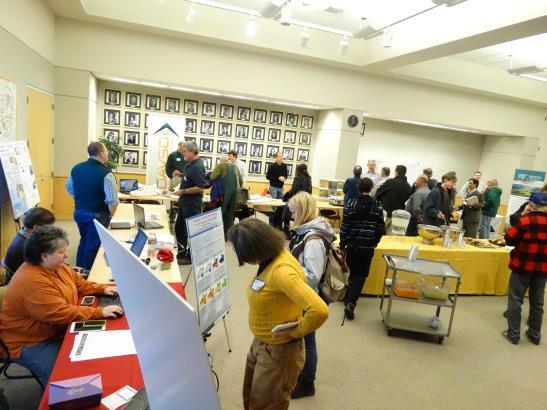 Attendance was excellent at the University of Idaho’s GIS Day event, with students, faculty members, and GIS professionals from across the state participating in the day’s events. Participants had the opportunity to attend presentations on everything from GIS assisting hydrological science to GIS complementing unmanned aerial vehicle (UAV) technology. Other popular sessions included discussions about GIS career opportunities and geospatial initiatives that have been rolled out across the state to strengthen Idaho’s spatial data infrastructure. Organizers of the Pakistan Geography and Alumni Association's GIS Day event hoped to stimulate the public's interest in geospatial technology. GIS is in demand all over the world but particularly in Eurasia where the demand for efficiency is paramount as the industry steadily grows there. The Pakistan Geography and Alumni Association celebrated GIS Day with a two-day seminar to stimulate public interest in the technology and encourage new technical talent looking for a promising career path. More than 15 organizations and institutes exhibited at the event at Arid Agriculture University in Rawalpindi, Punjab, Pakistan, offering GIS information and showing how the technology touches the lives of Pakistanis and others all over the world. More than 16 years ago, consumer advocate Ralph Nader presented an idea to Esri president Jack Dangermond: dedicate one day to show how geographic intelligence touches everyone. 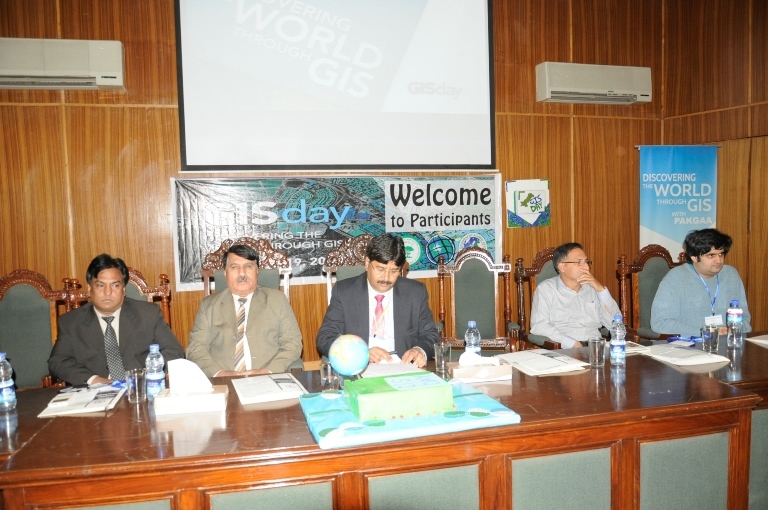 That led to the establishment of GIS Day, which was first held in 1999. The explosion of geospatial technology since then has grown that idea into a global event that showcases how far GIS extends into their lives. With the Department of Labor recently declaring that geospatial technology is a high growth industry with many occupational opportunities, next year’s GIS Day promises to be bigger and better.